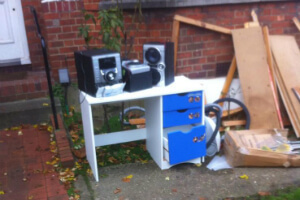 Home & Office Junk Removal Lewisham SE | Quality Property Care Ltd. Call the friendly client care service or speak to it on-line with a description of the junk you need removed and disposed of, and you will get a preliminary estimation of the price of the junk removal service. We are also competent at removing organic and garden waste starting with grass trimmings and cuttings, soil and turf, hedges and hedge trimmings, garden weeds, plastic liners or bags, flowers and plants, small branches, leaves, twigs, litter, animal bedding or straw, Christmas decorations and trees, plant pots and a lot more. There are special collection points where we will leave these materials, however, there are particular charges that you might need to cover. 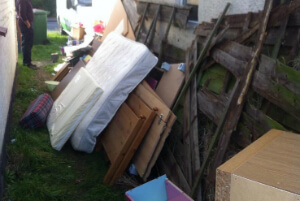 Once you arrange the rubbish removal service, we will sent to you the vetted and tested experts. They will evaluate the volume of junk and will arrange a date. Make a mix with junk removal service and any of our specialized cleaning services to get an exclusive discount! Our rubbish removal enterprise provides a full range of competitive and eco-friendly cleaning services that can fit any budget! To reserve a rubbish removal service, call 020 3746 4287 or send an online reservation request straightaway. The client care service is available so you will get your written verification as soon as possible. Booking require no deposit, plus the driver or team will give you the specific rate of the service when they arrive at the spot and can see the volumes, size and type of rubbish which needs to be removed. You are not obliged to agree with the price tag, and will not be charged for sending the rubbish removal team away.